A new palm sized radio module has been created called the Rapid Radio that can be attached to a Raspberry Pi mini PC or Arduino development board in just a few minutes to communicate using radio rather than Bluetooth or WiFi. The Rapid Radio is a 2.4GHz ISM band devices and is both Raspberry Pi And Arduino compatible and is supplied with full rapidradio source code is available at GitHub, that is free to use and modify thanks to its MIT license. You could just solder manually 8 wires to the tiny RFM75 radio, that’s true. But Raspberry Pi looks so pretty with the rapidradio and we all love working with beautiful designed devices, don’t we? 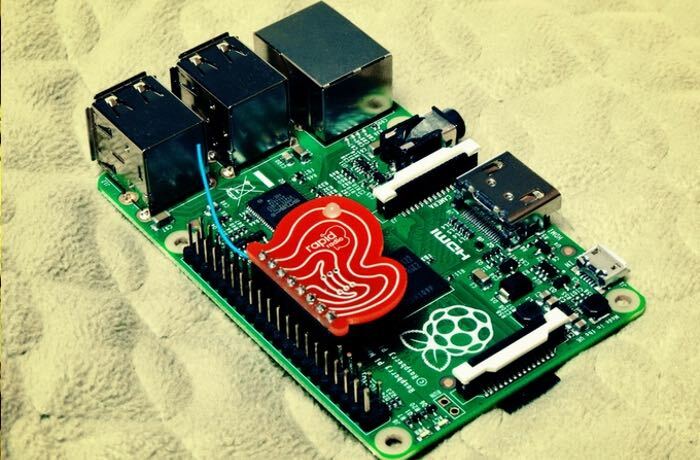 rapidradio means the simplest wireless connectivity for your Raspberry Pi. It’s a half-duplex 2.4GHz transceiver based on the RFM75 module (made by HopeRF). It’s a perfect solution for any kind of home automation, robotics, DIY projects, Arduino-to-RaspberryPi projects etc. You will be surprised how much you can reach using rapidradio. So much opportunities and so much fun, because it will work for you both ways – for your projects and for your taste. Enjoy! – Speed: max. 2Mbit, but practical usable up/down stream is lower when all CRC, ACK, auto-repeat, etc. options are enabled. 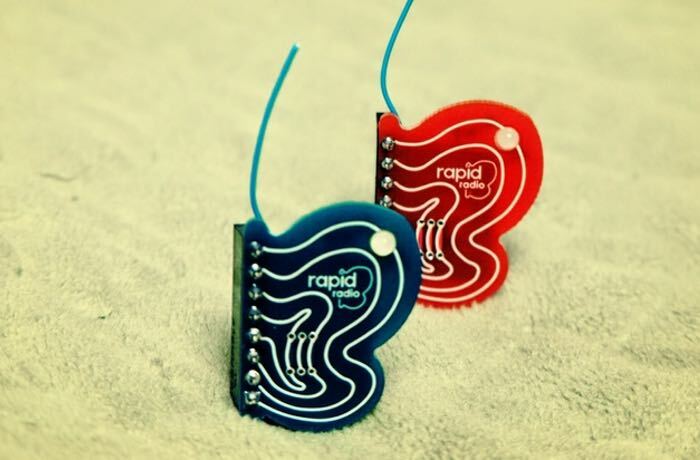 The Rapid Radio is currently over on the Kickstarter website looking to raise just €200 and is available to pledge for from just €5. If you found this project interesting why not build your very own Arduino wind speed meter or anemometer to record the wind speed in your area.